(by the New York Post editorial board) — If the American people knew the full — still classified — details of how Iran treated the US sailors it took captive last January, they’d be shocked. We suspect Rep. Randy Forbes (R-Va.) is absolutely right. Because what’s already public is horrifying enough. Yet the public won’t learn the whole story for at least another year — well past November’s presidential election, Forbes told the Washington Free Beacon. Again, it’s already an outrage. The Iranians ordered our sailors to kneel at gunpoint, parading them with hands in the air and forcing the lone woman to cover her hair, in accordance with their religious rules. And they took photos and video of it all, as well as the commanding officer’s coerced apology. That’s multiple violations of international law — in just 15 hours of captivity that was itself illegal, since the sailors plainly veered into Iranian waters by accident. 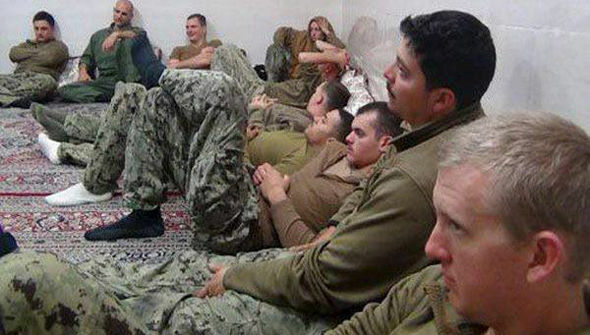 Iran released photos of the US sailors they had captured. The only female sailor was forced to wear an Islamic headscarf. The only one who’s been held accountable? The officer in charge got dismissed from his post, it was disclosed last week. His real crime, we suspect, was embarrassing President Obama just hours before the State of the Union address at which he’d planned to trumpet his nuclear deal with Iran. Last-minute complications were the last thing the White House wanted. What’s the excuse for keeping the American people in the dark about the details now? It’s hard to see how the info can jeopardize national security — though it might foment even more opposition to Obama’s Iran giveaway. Published May 17, 2016 at The New York Post. Reprinted here on May 19 for educational purposes only. 1. What is the main idea of this editorial? 2. 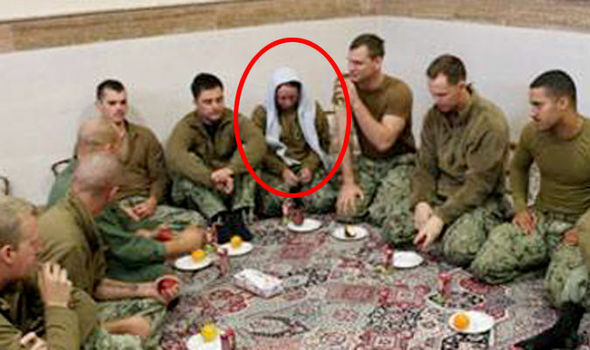 As a senior member of the U.S. House Armed Services Committee, Rep. Randy Forbes (R-Va.) has been briefed on confidential (classified) details of Iran taking captive U.S. sailors who had accidentally strayed into Iranian waters. What does Rep. Forbes say about the information he received? 3. What information do we currently know about the incident? a) Do you agree or disagree with this assertion? Explain your answer. b) What do you think is the Obama administration’s motive for keeping this information classified?